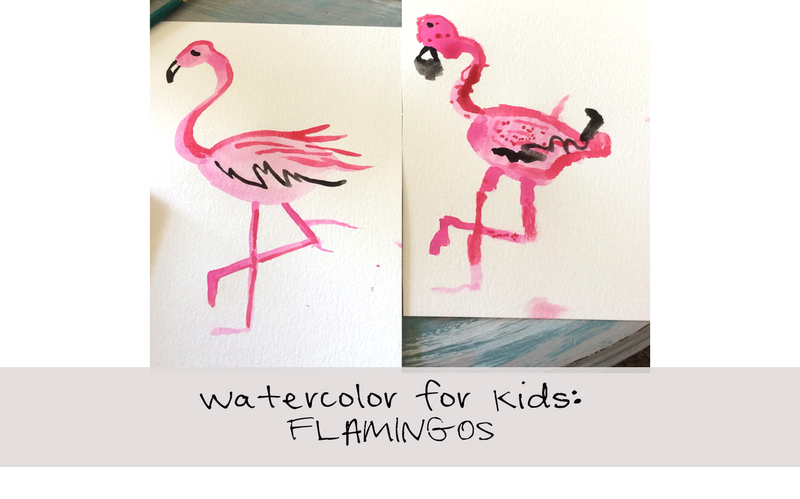 This past week, I started painting a flamingo and had so much fun with this whimsical creature that I decided to try teaching my daughter how to paint one. 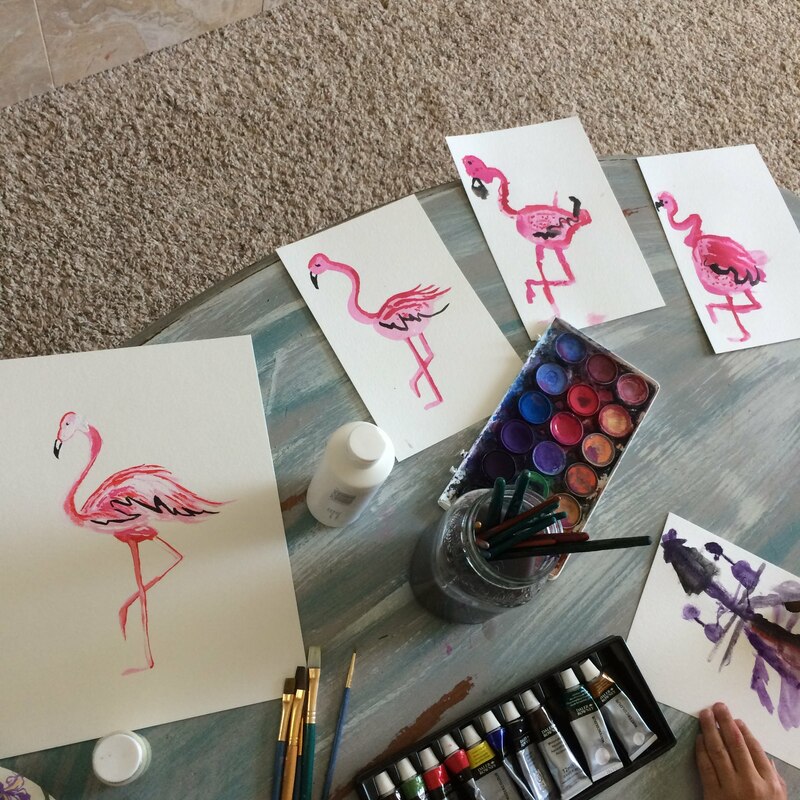 She loved it so much that we then filmed a watercolor tutorial for other kids to learn how to paint a flamingo! You can view our tutorial here. More painting tutorials will be coming out this Summer so be sure to subscribe to our youtube channel and check back on the website often for Art Lessons and DIY projects!